The XVIth Warrior Blog: Family Fun Day! In the warm up to the 1872 cup part deux, Glasgow Warriors will be hosting a Family Fun Day Saturday 26 April 2014 in Victoria Park! Your friendly neighborhood supporters club are setting up shop! We will have cake from Beth's Beautiful Cupcakes (sure we all fondly remember the Jammy Dodger Cupcake!) and a Tombola stall. You will also get the chance to meet the committee and the new Chairman. We are a friendly bunch so come say hi! 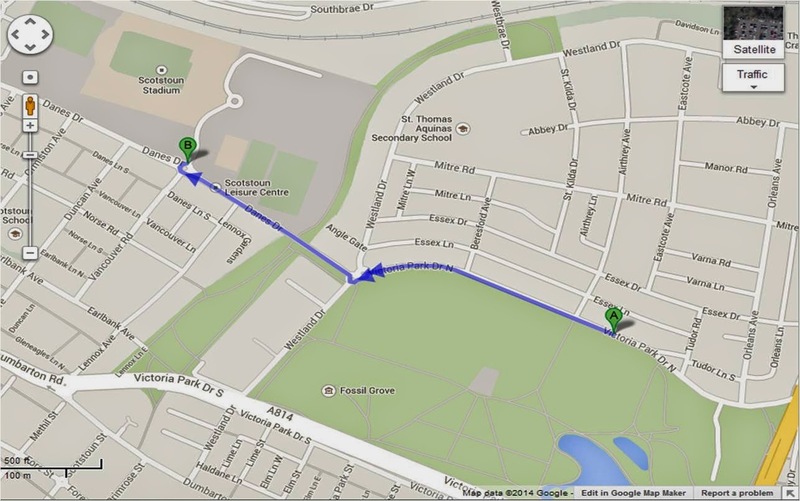 The day will run from 14:00 to 17:00 in the park; a hop skip and a jump from Scotstoun (see map) to put us all in the mood for the game! There will also be rugby skills sessions and various activities to perfectly warm you all up to play your part as the XVIth Warrior, and bring the noise to Scotstoun like never before! It will be do or die with this game cementing our play off place. Shade, James & Tim all said that what we bring as supporters makes all the difference. Your team needs you #WarriorNation! See you all in the park! P.S Saturday 26 April is also Gregor Townsends birthday!